L. M. Montgomery (1874-1942) is now widely recognized as a major twentieth-century author, one whose best-selling books remain hugely popular and influential all over the world three-quarters of a century after her death. 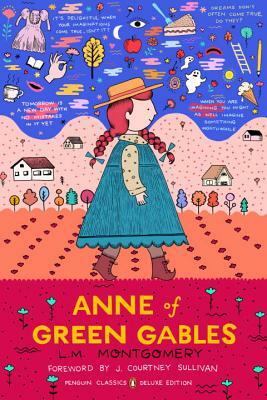 Her first novel, Anne of Green Gables (1908), the benchmark against which her remaining body of work is measured, was followed by twenty-three additional books, including ten more featuring Anne Shirley: Anne of Avonlea (1909), Chronicles of Avonlea (1912), Anne of the Island (1915), Anne’s House of Dreams (1917), Rainbow Valley (1919), Further Chronicles of Avonlea (1920), Rilla of Ingleside (1921), Anne of Windy Poplars (1936), Anne of Ingleside (1939), and The Blythes Are Quoted, completed shortly before her death but not published in its entirety until 2009. During her distinguished career, she was made a Fellow of the British Royal Society of Arts, was named one of the twelve greatest women in Canada by the Toronto Star, and became an Officer of the Order of the British Empire. Since her death, several volumes of collected periodical pieces have been published, as have over a dozen volumes of journals, letters, essays, and scrapbooks. Both Ontario and Prince Edward Island are home to numerous tourist sites and archival collections, and her books continue to be adapted for stage and screen. J. Courtney Sullivan is the New York Times best-selling author of the novels Saints for All Occasions, The Engagements, Maine, and Commencement. Maine was named a 2011 Time magazine Best Book of the Year and a Washington Post Notable Book. The Engagements was one of People magazine’s Top Ten Books of 2013 and an Irish Times Best Book of the Year, and has been translated into seventeen languages. She has contributed to The New York Times Book Review, the Chicago Tribune, New York Magazine, Elle, Glamour, Allure, Real Simple, and O: The Oprah Magazine, among many other publications. She lives in Brooklyn, New York. Benjamin Lefebvre is the director of L.M. Montgomery Online. He is the editor of several books, including an edition of Montgomery’s rediscovered final book, The Blythes Are Quoted (2009), and the three-volume critical anthology The L.M. Montgomery Reader (2013–15), which won the 2016 PROSE Award by the Association of American Publishers. He lives in Kitchener, Ontario.